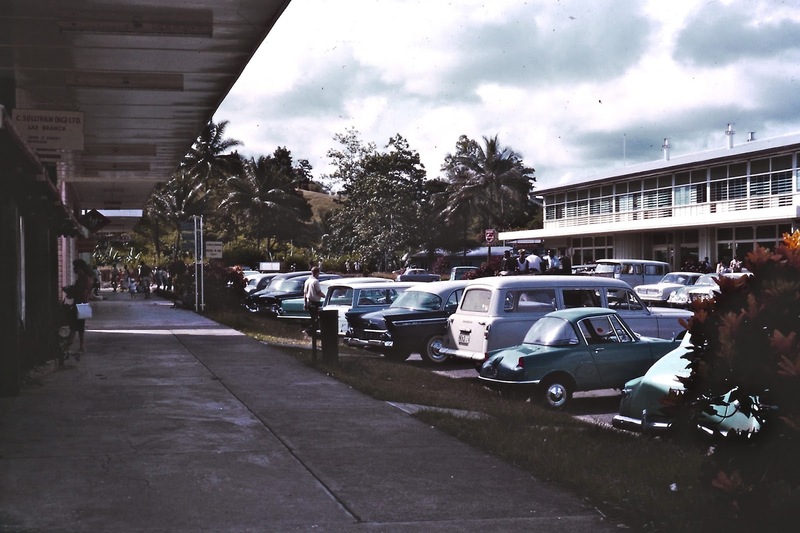 I had finished my last prac teaching session in Nov,1963 in Lae, in the Territory of Papua/New Guinea. I had passed my final exams with surprisingly good results so I wasn't sent back to Sydney to do more study. 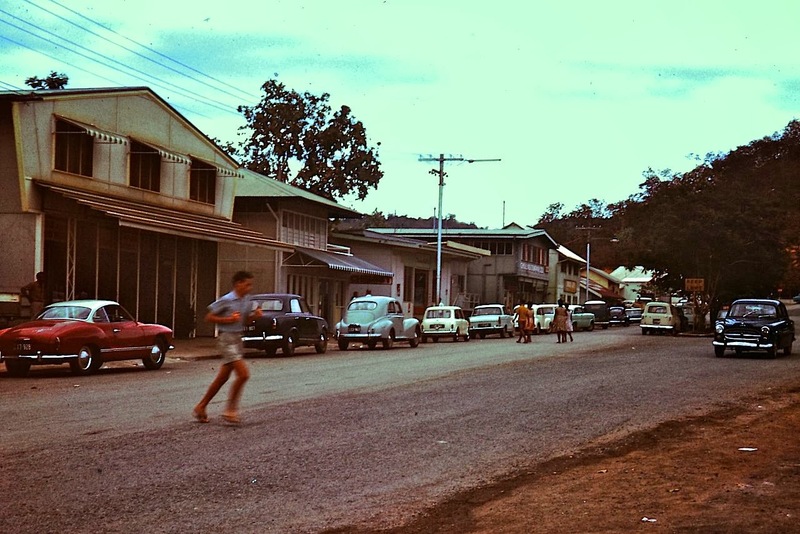 Instead I was to start teaching in Pt Moresby in Feb 1964. Other students were sent to other towns , villages or outposts all over the country. I was happy to be in the biggest town and not in an isolated place, others were more adventurous than me. 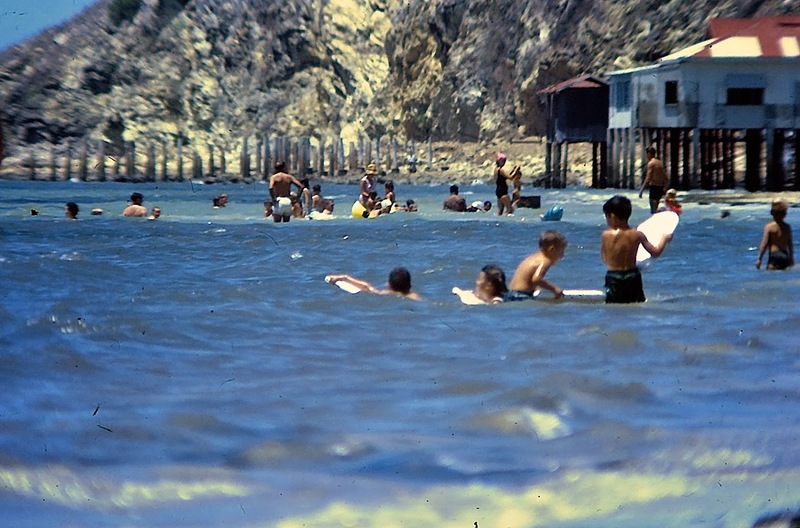 All the photos have been scanned from 50 year old slides. They are discoloured with scratches, dust and fungus on them. I have tried to eradicate marks and rectify the magenta and blue hues but not with total success. Bear with me. PT Moresby is on a small peninsula with the ocean on the left and the harbour on the right, The CBD stretches from one side to the other. Today there are highrise buildings and much wider and better roads. Policeman directing traffic at the main intersection. There were no traffic lights in those days. The native policeman is hard to see under the clock in the shade of his stand. You can see his white gloves. 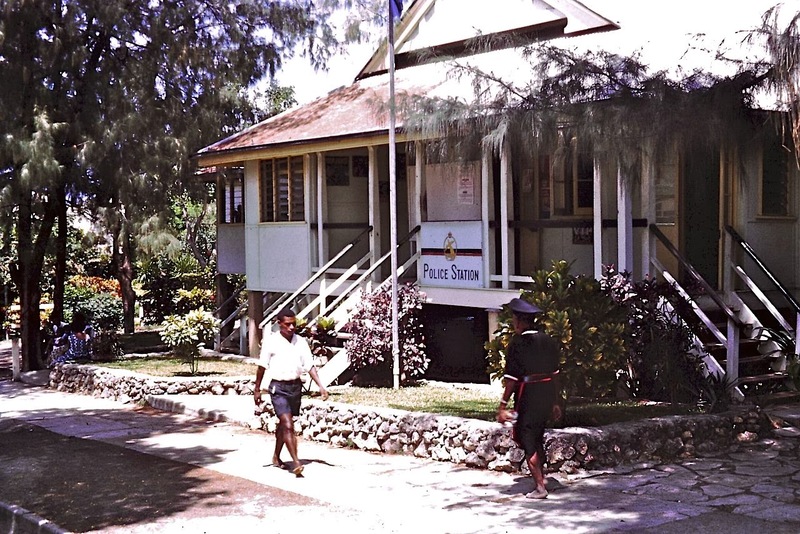 A policeman on the right is wearing the traditional navy uniform laplap, a red belt, cap and no shoes. 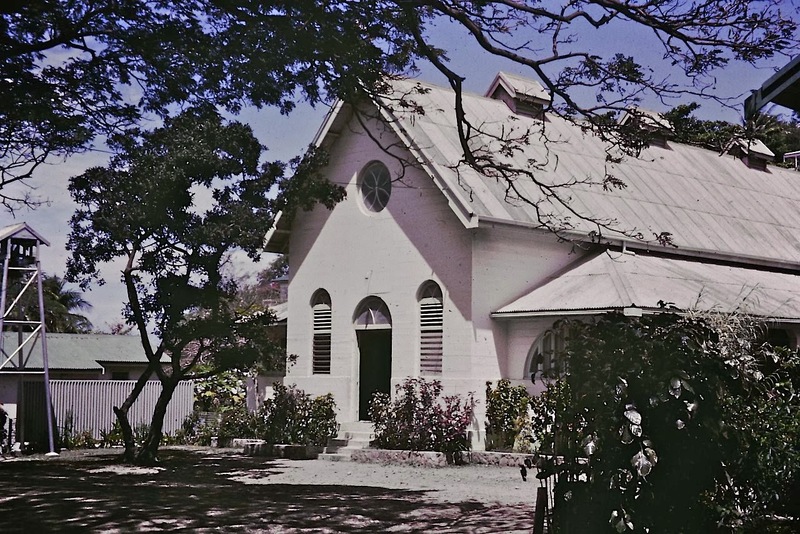 There were quite a lot of churches and missions operting in TPNG. All the above shots were taken in the main street which stretches from the harbour to Ela Beach across the peninsula. My friend Val, was being sent to Daru Island, near the western border with Dutch New Guinea then, now it is part of Indonesia. 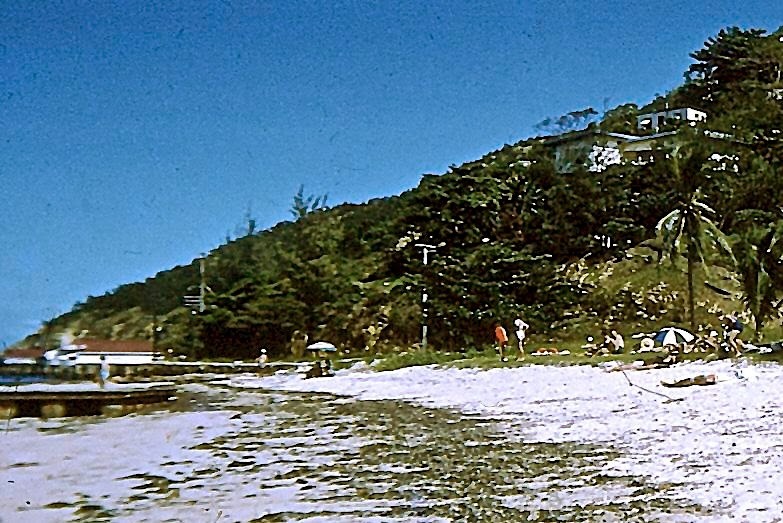 However, Val's accommodation wasn't ready in Daru so she had to stay in Pt Moresby for a few weeks. Neither was my accommodation sorted, so we were both put into a room to share in the Boroko Hotel. It was a tiny room and I dearly hoped I would have a better place when I actually started teaching. 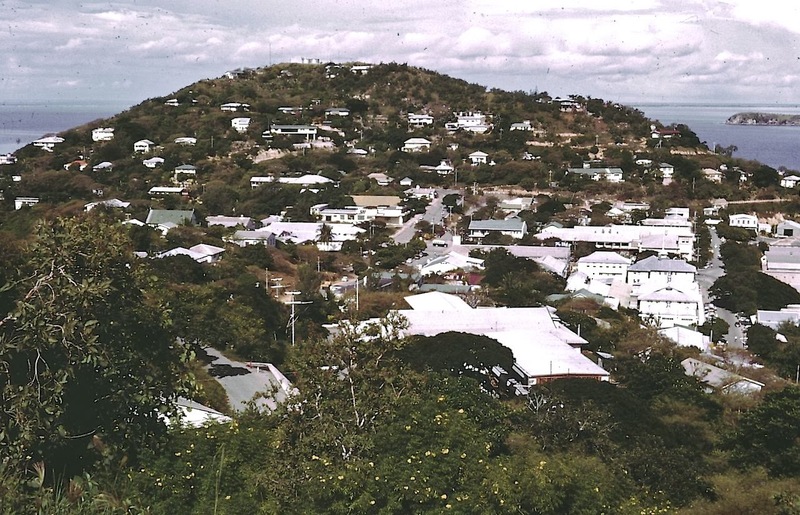 Boroko is an outer suburb of Pt Moresby. The children were on end of year, school holidays and the schools were closed. We were told to report to the District Education Office in town. The office was an old building built over the water on stilts, seen here at the end of Ela Beach at low tide. 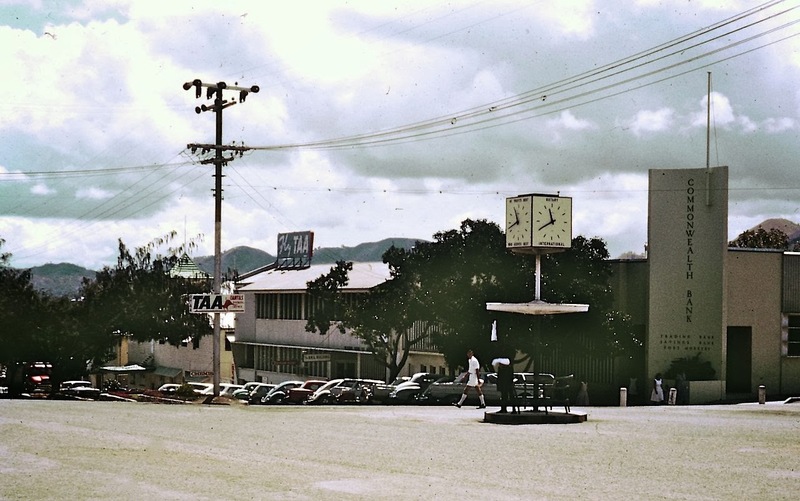 The District Education Office in 1963. It used to be a hospital and then the Officer's Club during the war. I thought Ela Beach was an idilic tropical place. 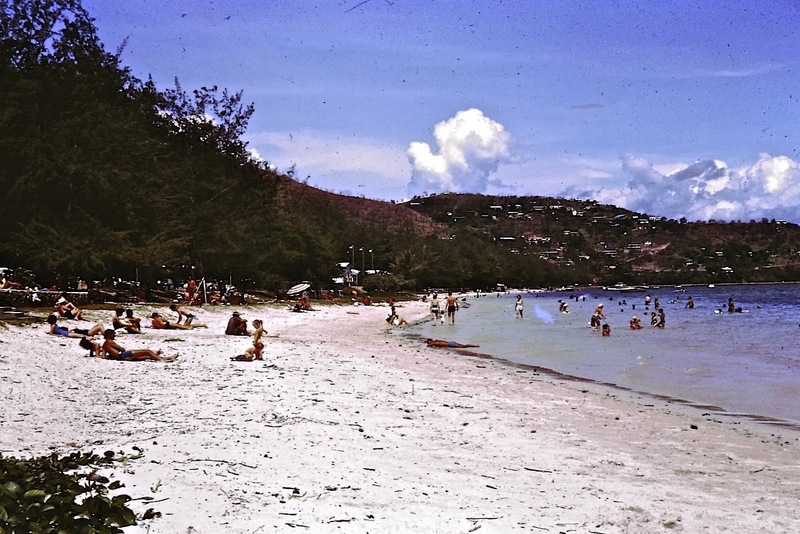 The water was crystal clear and palm trees hung lazily over the white sand. We often spent Saturday mornings here. 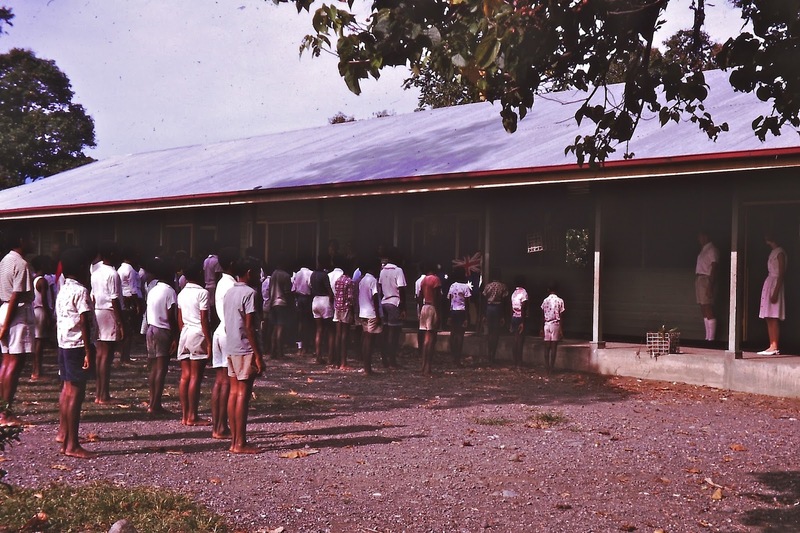 In Nov 1963, I spent two weeks in Lae, P/NG doing the last session of practice teaching for my teaching course. I was with a small group of girls. 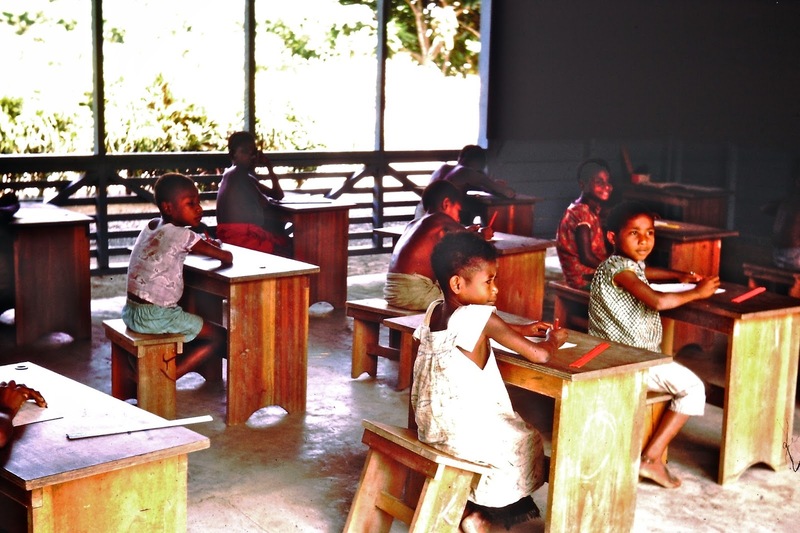 Some boys went to Rabaul and others went to Pt Moresby to finish their prac teaching. After this we would all be sent out to our teaching posts to start real work. We would have to say goodbye to the friends we had made at college (Australian School Of Pacific Administration). Besides prac teaching we did a lot of observing of how schools operated there. 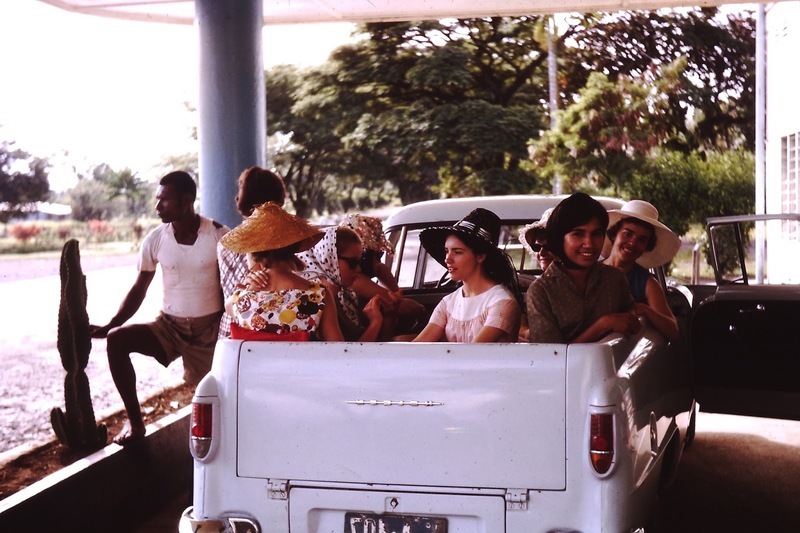 We were all accommodated at the Hotel Cecil and we were transported to schools in a variety of vehicles. We passed a Lutheran Mission on the way to visit some different types of schools. We arrived at the first school just as they were having morning assembly.It was already very hot. 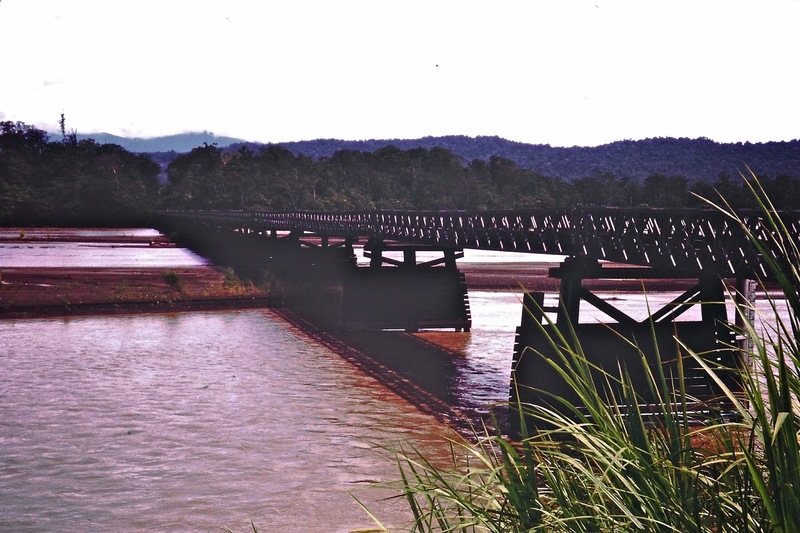 We drove out of Lae into the countryside and crossed over the wide Markham River. The water was low this day but it becomes a surging torrent when it rains. 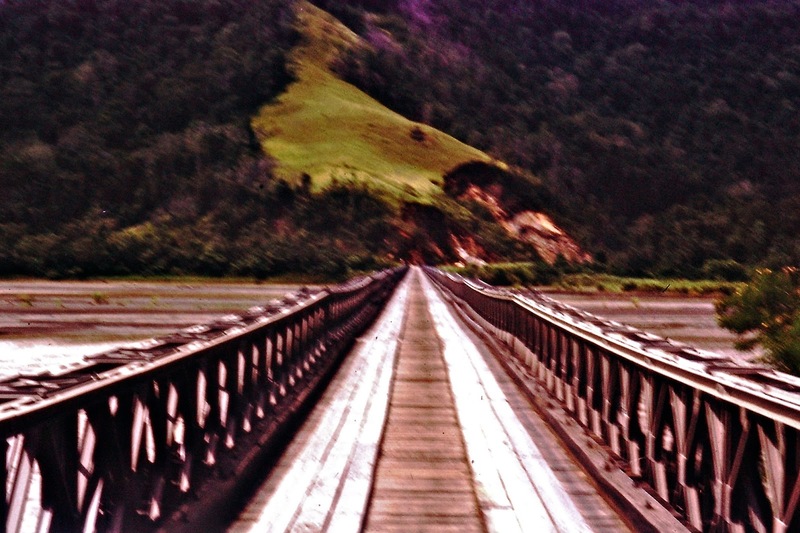 The bridge was a timber construction and it was very long and bumpy. We arrived at a small bush school. It was a hot day as every day is so I think the smoke is from the cook house. Some of the girls have scarves on to stop their hair blowing about in the back of the ute. Inside the children were working quietly . The classroom had a dirt floor and half a wall. 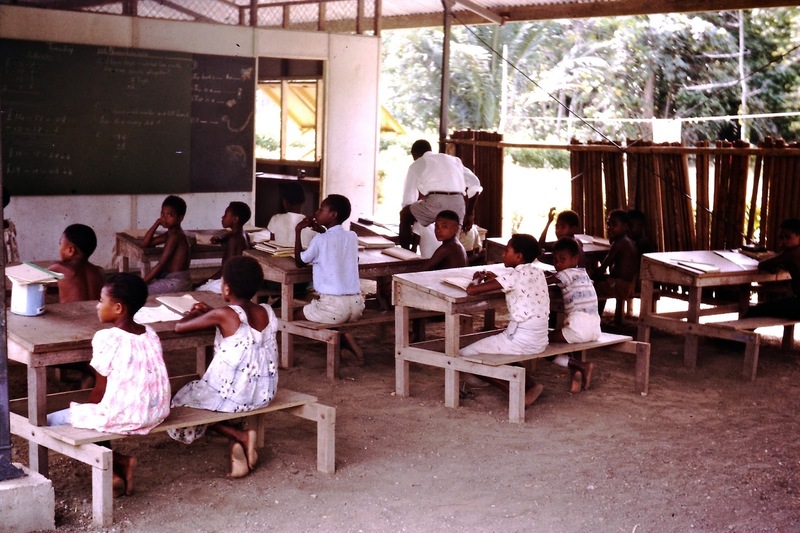 Often parents would come and hang over the wall to join in the lessons. In the playground, our lecturer tries to encourage a little Prep student to put on his pants. 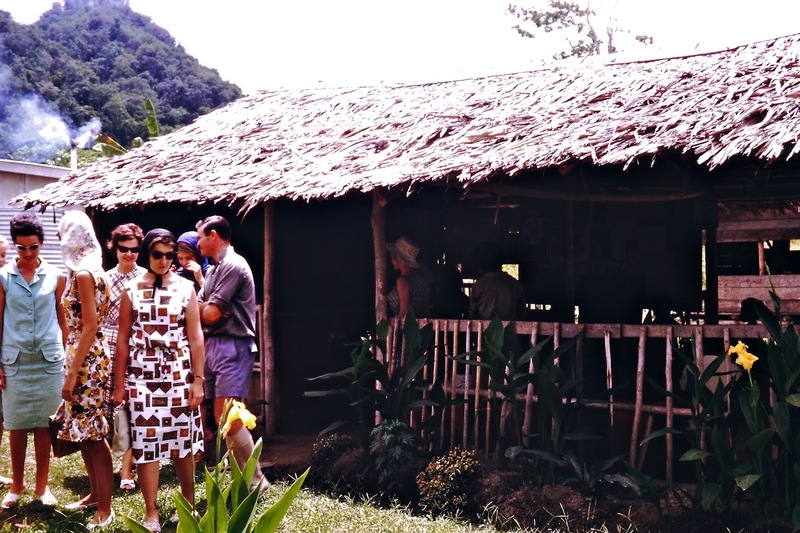 We were taken to a traditional village to see how the children lived. Here there is woman carrying a load with a some pigs following her. She may be going to feed them. The wealth of a family was ascertained by the number of pigs they owned. Brides would be bought with pigs. Their houses are made from grass thatch. We stopped for lunch by a cool creek. 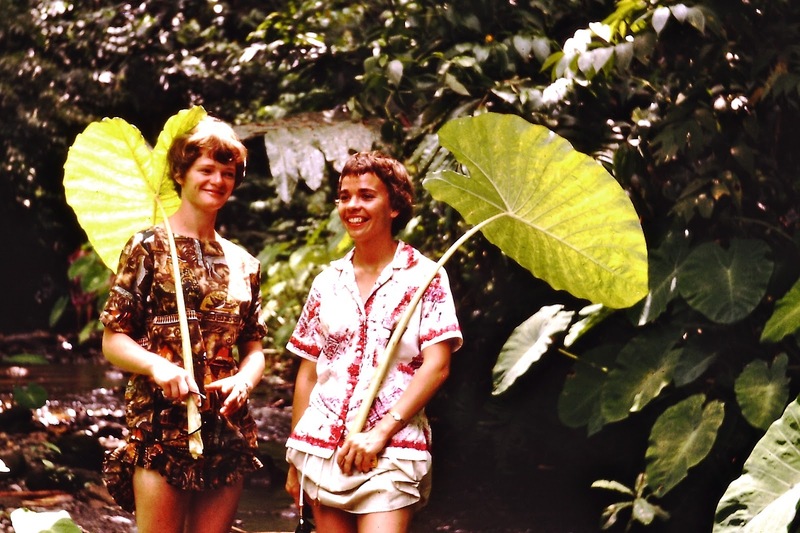 We waded through the clear cool stream and kept the sun off by using huge leaves that were growing nearby. Helen was one of my best friends at college. She was on a scholarship from the Lutheran Church. She was going to teach at a mission in the highlands. I never saw her again. Unfortunately, she had passed away by the time we had our first reunion in 2002. 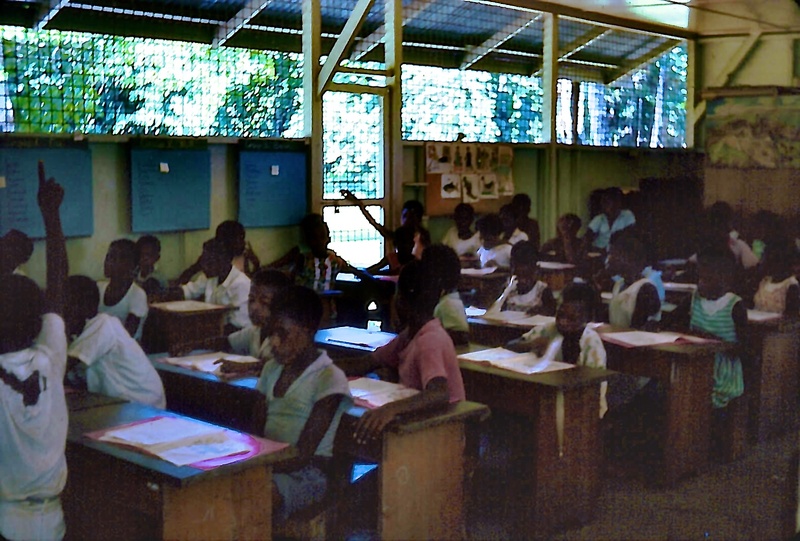 We stopped by another school on the way back to Lae. This one had a concrete floor and a more substantial wall. From the school yard we could see the afternoon storm clouds rolling down the mountains ready to drop torrential, tropical rain. This was a regular occurrence most afternoons. The plane was lucky to be landing before the storm hit. We also arrived back at the hotel before getting wet. Not that it mattered getting wet. It cooled you down and you soon dried out. Soon I would be leaving my friends and winging my way to another adventure on my own. 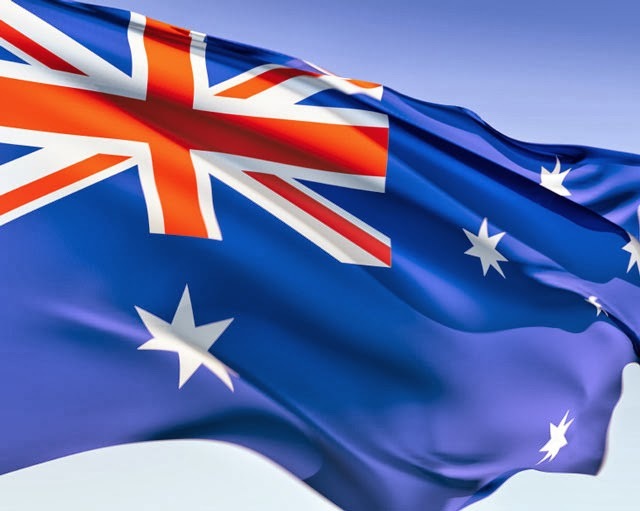 On this day, 26 January in 1788 Captain Arthur Phillip planted the Union Flag in Sydney Cove and started the first European settlement in Australia. Today our national flag has the Union Jack in the corner to show that we belong to the British Commonwealth of Nations. Underneath the Union Jack is a seven pointed star. One point for each of the six states and one point for the Australian Territories. On the right hand side is the star formation called the Southern Cross. 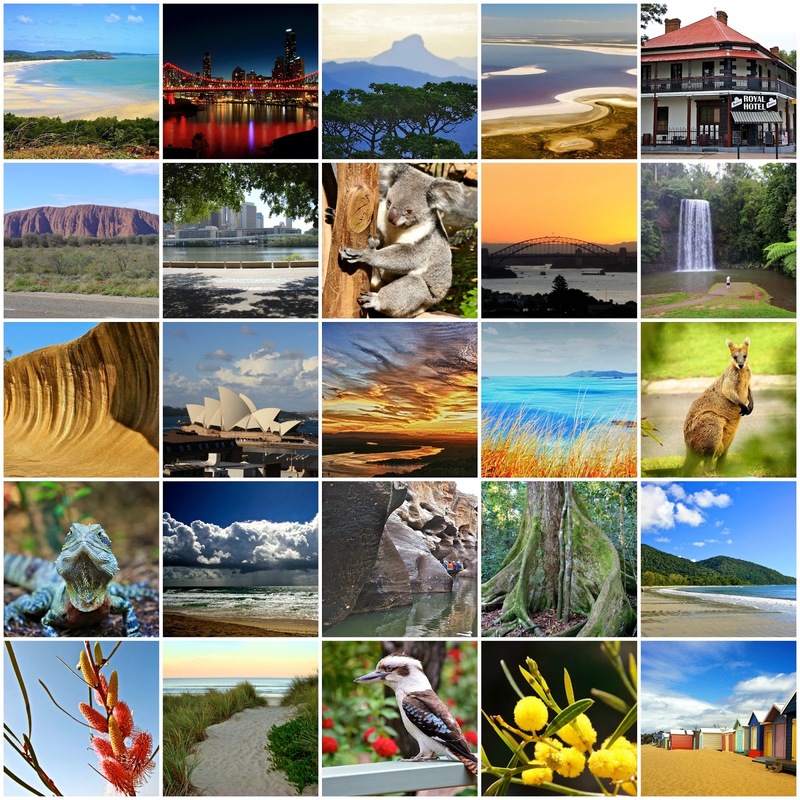 There are 26 Aussie shots on this page for the 26 January (25 below and 1 above). 1. Frangipani Beach at the northern tip of Australia. 25. Coloured beach huts, Mt Martha, Vic. 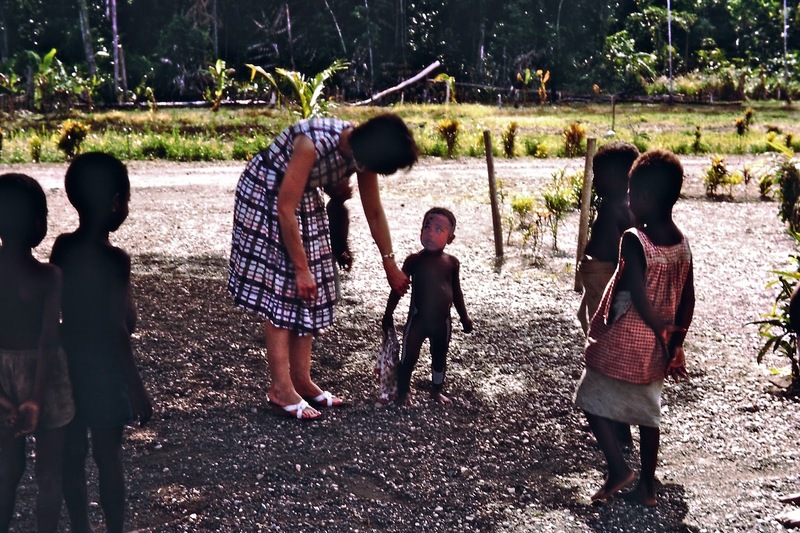 In 1963 we had been in Lae, PNG for only a few days doing practice teaching when our lecturers took us for a picnic. One I'll never forget. 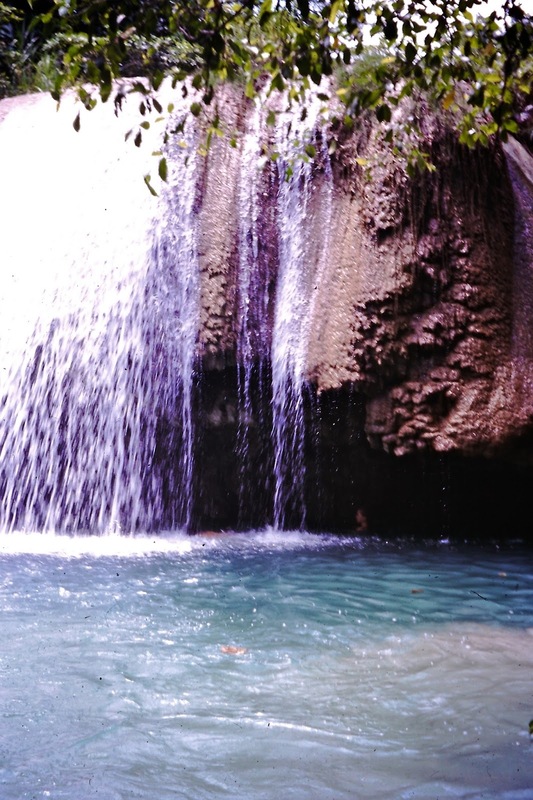 We were told that we were going to Butaweng swimming holes and waterfalls near Finchhafen, a small settlement on the north coast only a 30 minute flight from Lae. "FLIGHT! We are going to fly to a picnic?" 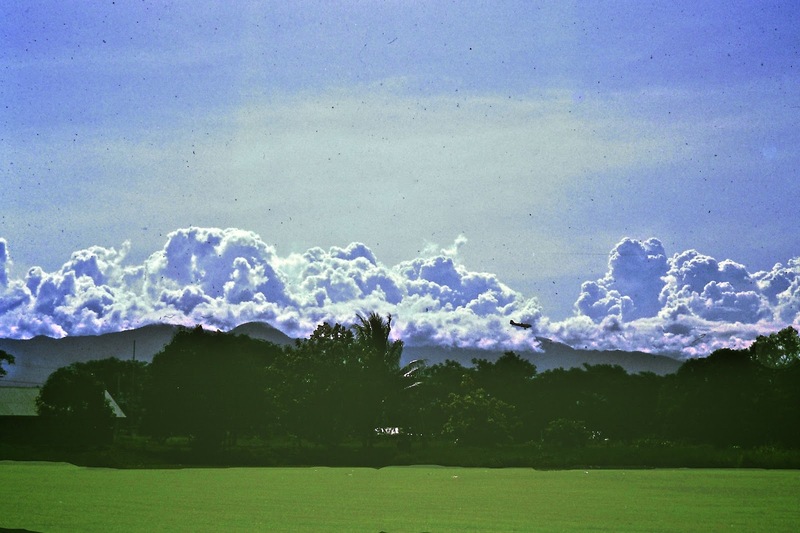 I couldn't believe it but I was soon to learn that the main form of transport in TPNG was by small planes. The lecturers had chartered a plane to take us for a picnic and to experience a beautiful part of PNG. We were taken to Lae airport and there was a small DC3 sitting on the strip with the doors wide open. We had to wait for the paper work to be sorted and the picnic food and drinks to be loaded then we climbed aboard. WOW! The heat inside that tin cylinder was unbearable no wonder the door was open. The plane had been sitting in the sun for a while. The next surprise was the seating arrangement. There were no seats in rows with an aisle but there was a bank of metal, garden type chairs along the walls of the fuselage. There were seat belts attached to the walls. To keep the drinks cool in this searing heat, there was a 44 gallon drum cut in half longways full of ice. It sat on the floor behind the cockpit. While everyone got buckled up and the pilot waited for clearance the heat was melting the ice and cooking us. A crew member kept the door open for a little relief. Even when the plane started taxying the door stayed open until just before the wheels left the ground. 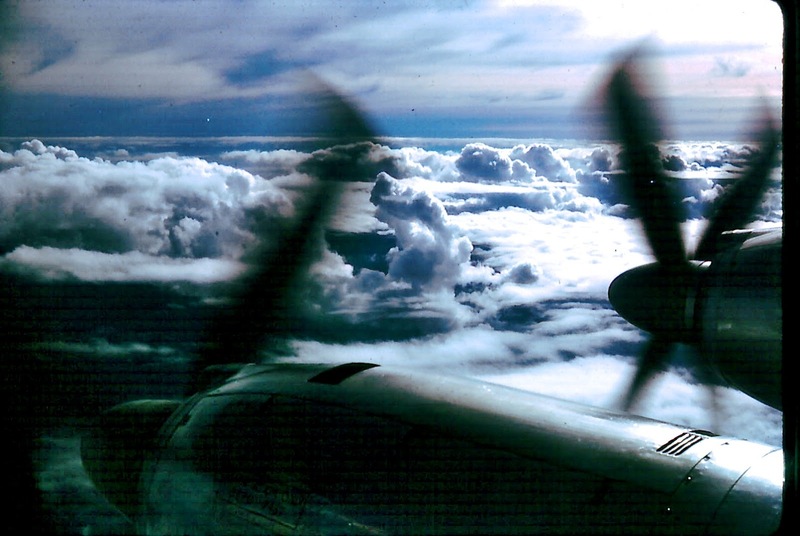 As the plane steeply climbed into the blue sky the melted ice water slopped over the edge of the drum and came washing down the centre of the plane cooling off our feet and shoes. This was going to be a fun day and an experience to remember. We flew over swamps and virgin jungle but after only 30 minutes we started our descent into Finchhafen. It had been cooler up in the air but as soon as we climbed out of the plane on a little ladder, it was very hot in the sun. So we all crowded under the wing for some respite in the shade while we waited for a "taxi" to take us to Butaweng. There was no such thing as a terminal building. Finally the 'taxi" turned up. 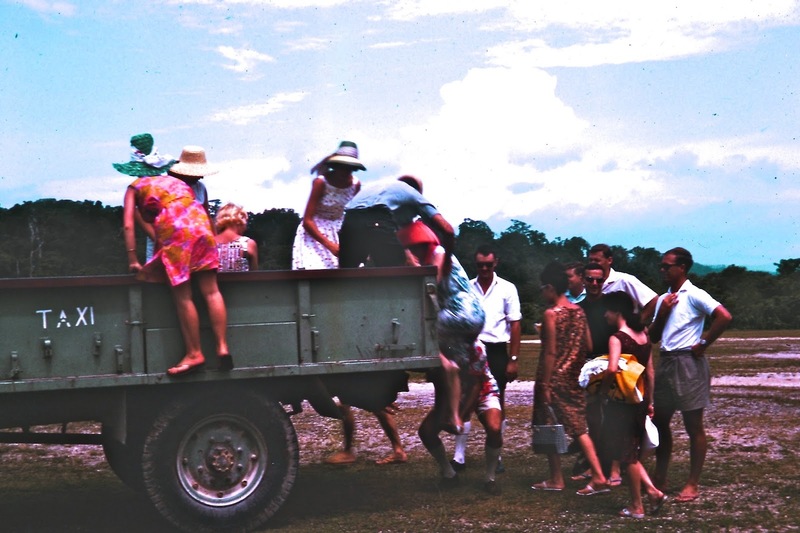 The picnic gear was loaded into the truck and then we had to climb in the back. No little ladder this time. You may wonder why we wore dresses. It was a rule that women should not wear shorts or slacks to show off our curves and skin. 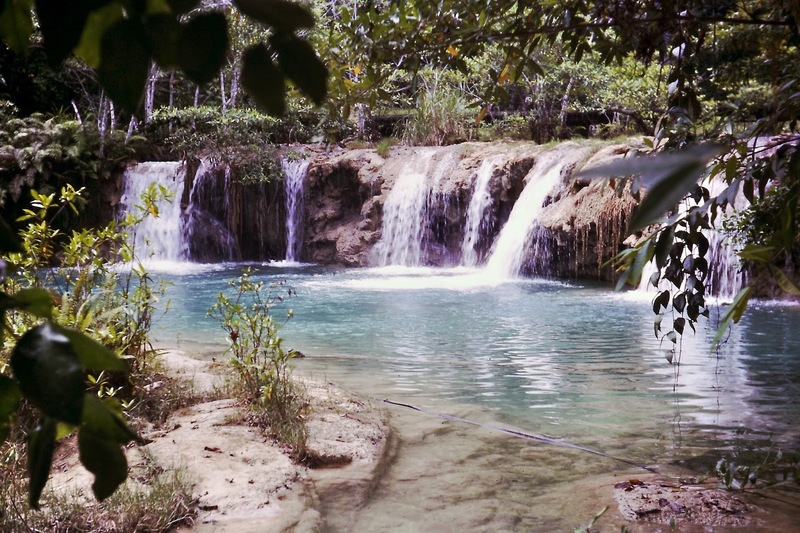 It was a half hour drive on dirt roads to the water holes and I was interested in the tropical trees and the people. 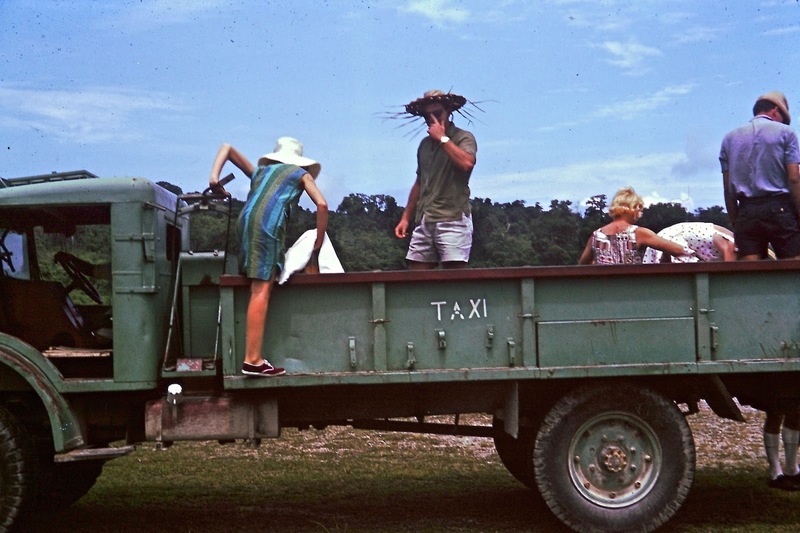 It was an uninterrupted view from the back of the truck taxi. I was fascinating to see the native women (called meris) carrying huge loads in a large bag (called a billum) which was hand woven from twine made from plants. The billum's handles were put onto their forehead and then they were hands free. They also carried their babies like this. 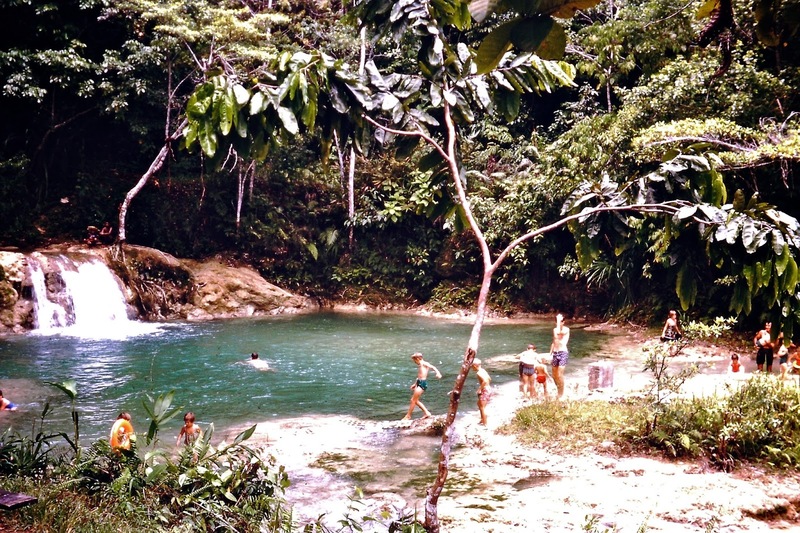 We arrived at the picnic spot and then walked through the jungle to the swimming holes. It was a little cooler in the forest. The jungle opened up to reveal the most beautful little creek and waterholes. Other expatriates were already there having fun. The water looked so blue and inviting. 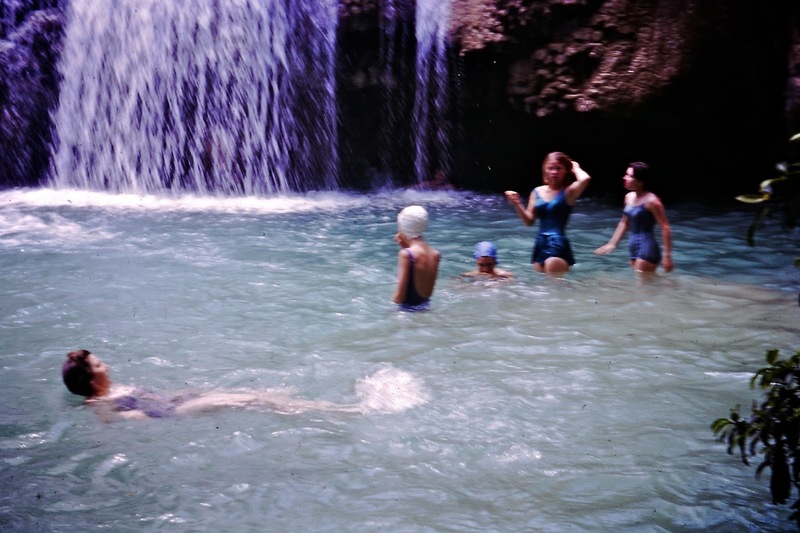 New Guinea is awash with crocodiles but we were assured that there were none in this creek. 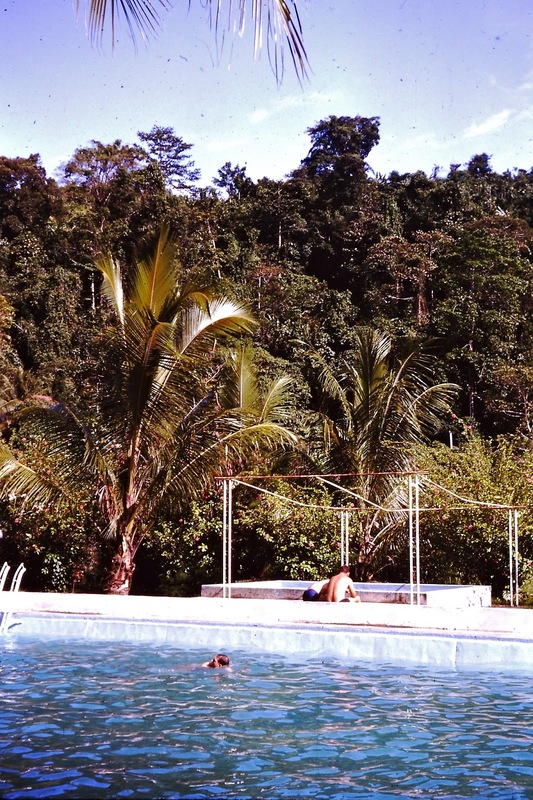 Further upstream we found a pool just for us. It was idilic. 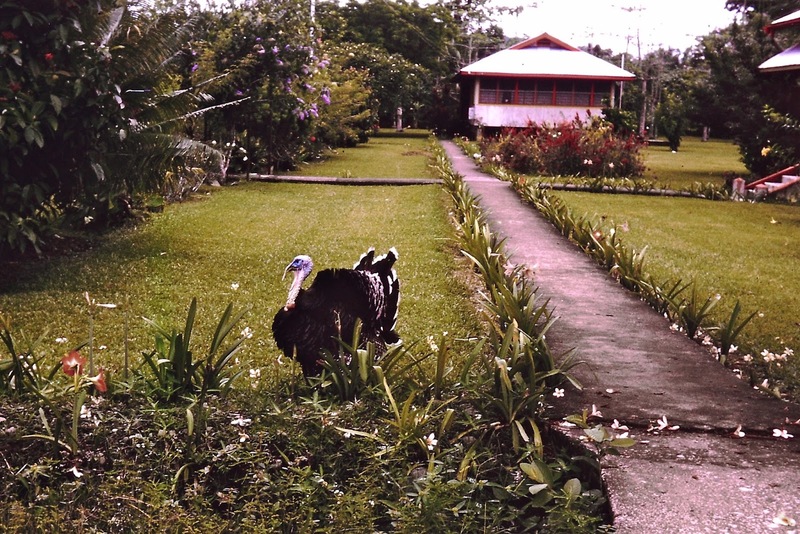 I had only seen this type of exotic tropical scenery on movies or in books. To be actually here being part of it was exhilarating. 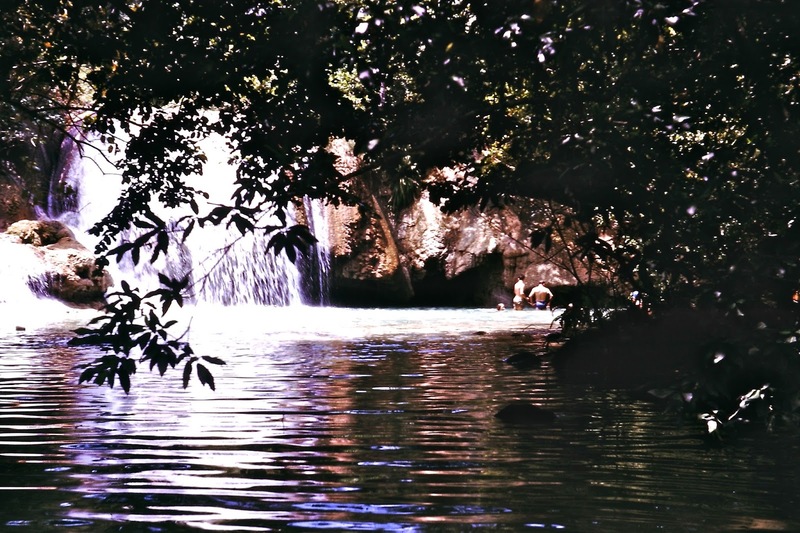 In this private place we stripped off and jumped into the water to cool off. "Brrrrrrr" it was freezing cold water that had tumbled down from the high mountains in the hinterland . It sure did cool us down. It was from one extreme temperature to the other. Before leaving the pools some of us climbed to the top of the waterfall it was a pretty scene from up there but I didn't taken my camera. 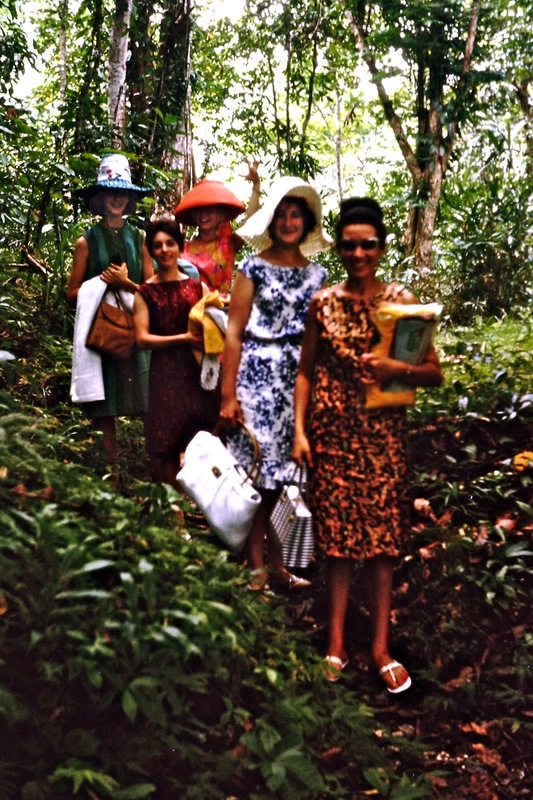 Then we walked back to the picnic spot where the boys had cooked a barbecue for us with salads and rolls and drinks, which had all come on the plane with us. 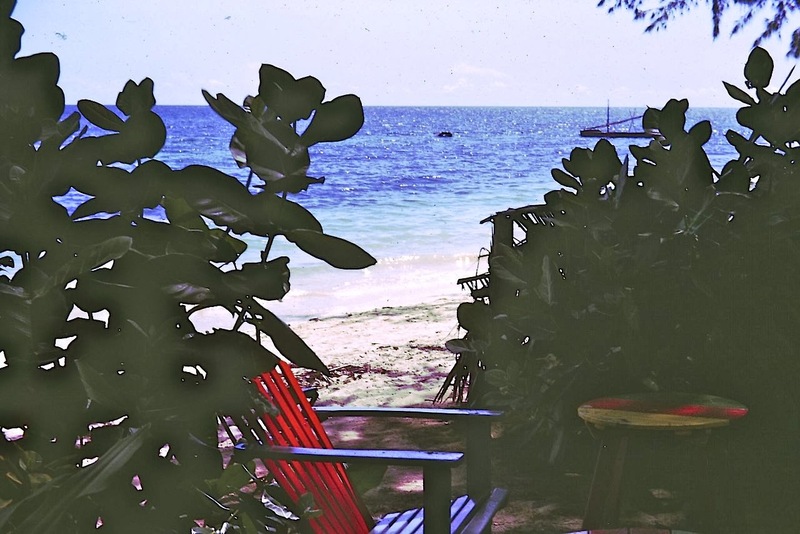 After lunch and a little more exploring of this fabulous place we gathered our belongings and our memories and heaved ourselves up into our splendid taxi and returned to the airstrip. There we once again climbed into the overheated plane cabin, found a chair and buckled up ready for the flight back to Lae. Almost every afternoon in New Guinea, heavy storm clouds come rolling over the mountains and drop torrential rain together with flashing lightening and rumbling thunder. It is not good flying weather. Luckily we were fairly early and hoped to miss the storm.The DC3's fly quite low and it was a bumpy ride back to Lae but we did arrive before the storm. 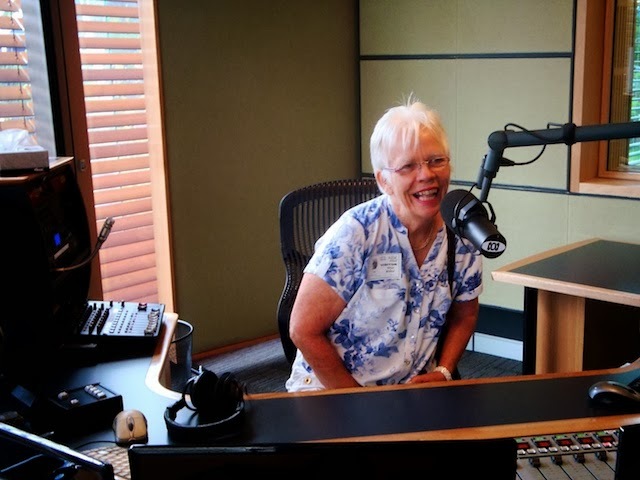 At the age of 21, I had butterflies in my tummy, sweaty palms and tears in my eyes as I kissed my parents goodbye at Sydney airport for my first flight in an aeroplane to an unknown destination in a strange country. 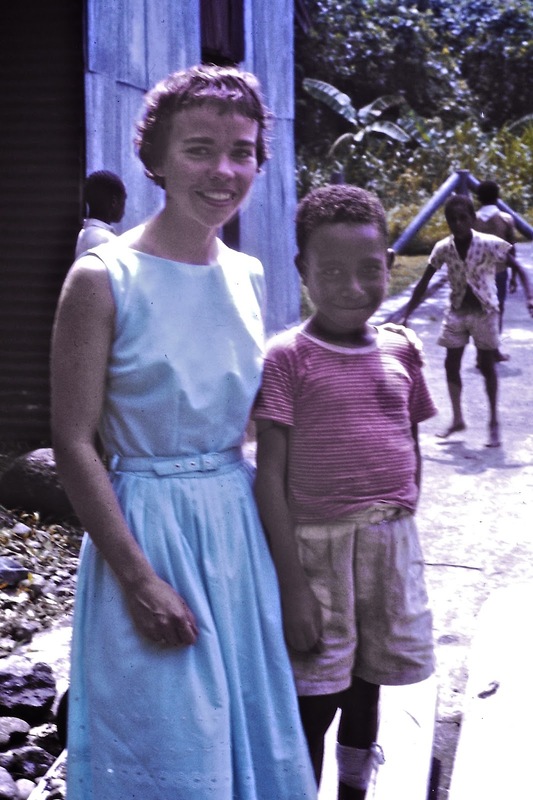 It was Nov. 1963 and I had completed my teacher training course except for one more session of Practice Teaching which would take place in the Territory of Papua and New Guinea. The small Vickers Viscount plane was full of ASOPA Cadet Education Officers heading for a life in the hot, humid tropical jungles of TPNG. There was much laughter, joking and excited chatter as we climbed into the night sky heading north. I was a little nervous of flying and apprehensive of what lay ahead for me in the next 3 years of bonded work away from home. PNG had a variety of rulers in its past. Before WW1 the Dutch were in the western half of the island and the Germans had the northern quarter (New Guinea) and the British had the southern quarter (Papua) of the eastern half of the island. After the war the British had all the eastern half but Australia did the administration. In WW2 the Japanese took over New Guinea but the Australians hung on to Papua. There are volumes written about this awful struggle in the rain soaked, jungle clad mountains. One of the most famous occurred on the Kokoda Trail. 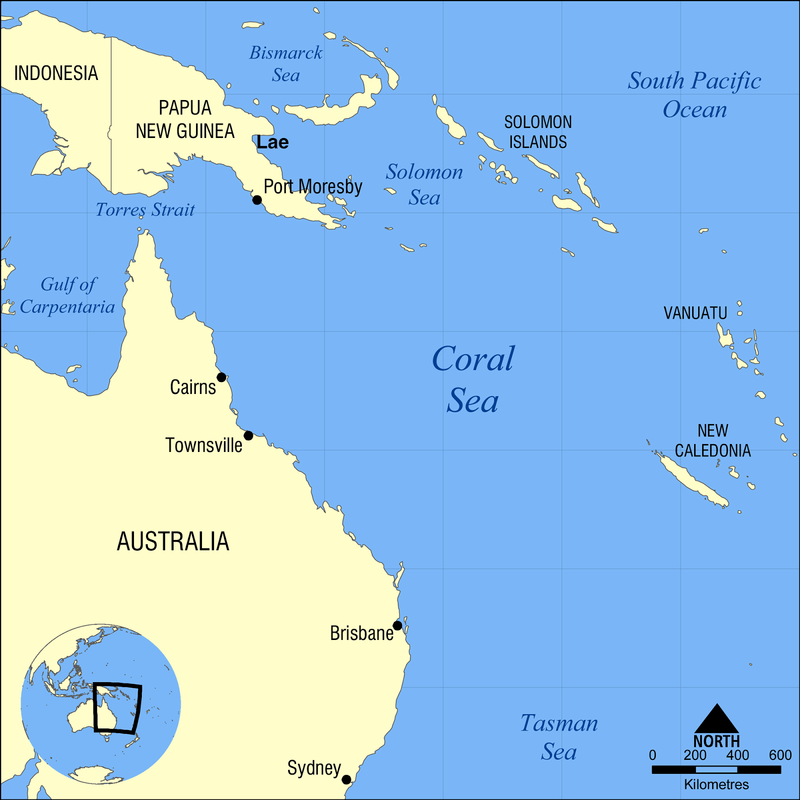 After the war Papua and New Guinea became a Territory of Australia. 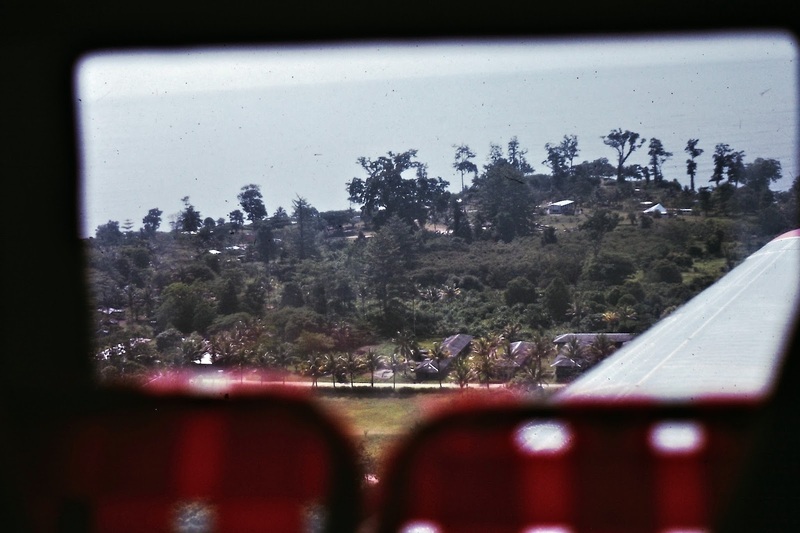 In 1969 Indonesia took control of Western New Guinea. 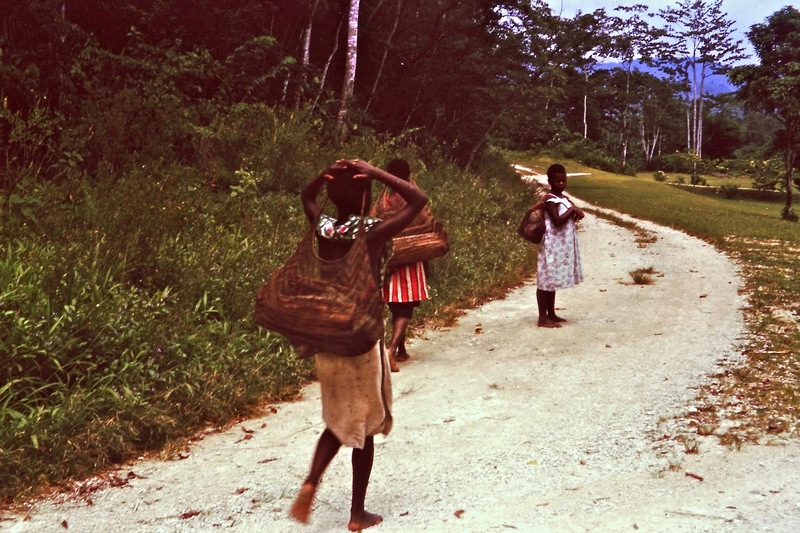 In1975 eastern PNG became an independent country. The little plane couldn't fly all the way non stop to Pt Moresby, the capital of PNG. It had to land in Cairns and refuel in the early hours of the still dark morning. The door of the plane opened and we had to walk down the steps and across the tarmac to the terminal. A blast of hot humid air hit us like a thick wall. It seemed hard to breathe. I had never felt temperatures like this before but knew it was going to get worse as we got closer to the equator. Soon we were back on the plane heading for where??? We hadn't been told where we were going to be posted or where we were doing our Prac Teaching. However, there were quite a few lecturers on board with us and they were working there way around the students giving us the details of our postings. I secretly hoped that I wouldn't be sent to an isolated outpost but would get a place in one of the bigger towns. 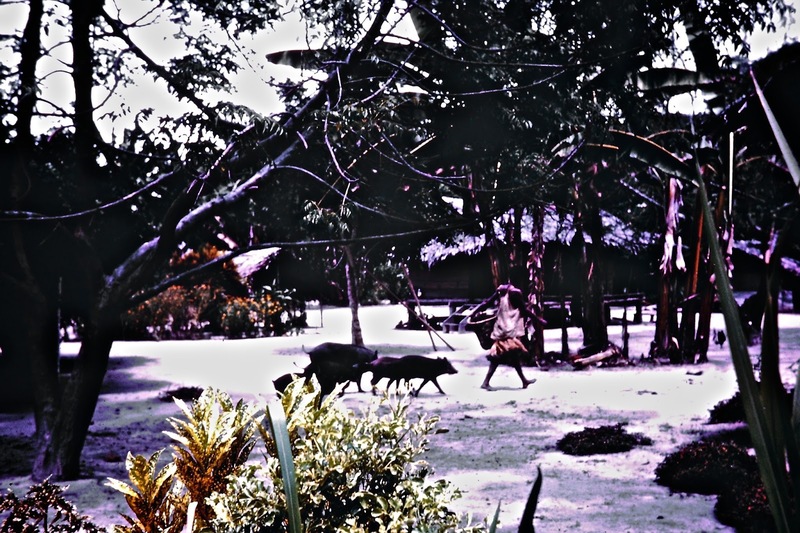 I really wasn't as adventurous as some of the other students who wanted to teach in small outposts in the jungle or on remote coastal villages. 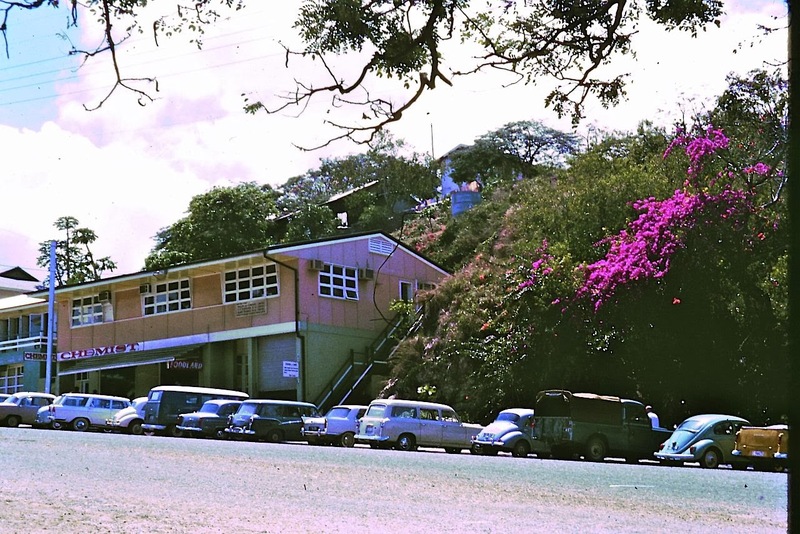 This settlement is the suburb of Boroko the administration centre of TPNG. As morning dawned we were over the sea and soon coming into land in Pt Moresby. Pt Moresby sits in the shadow of the Owen Stanley Mountain Range. So it is not wet all year. It has a dry season and a wet season. We were not at the airport long before I, together with some of the other female students, boarded the plane bound for Lae. Other students went to different towns for Prac Teaching. 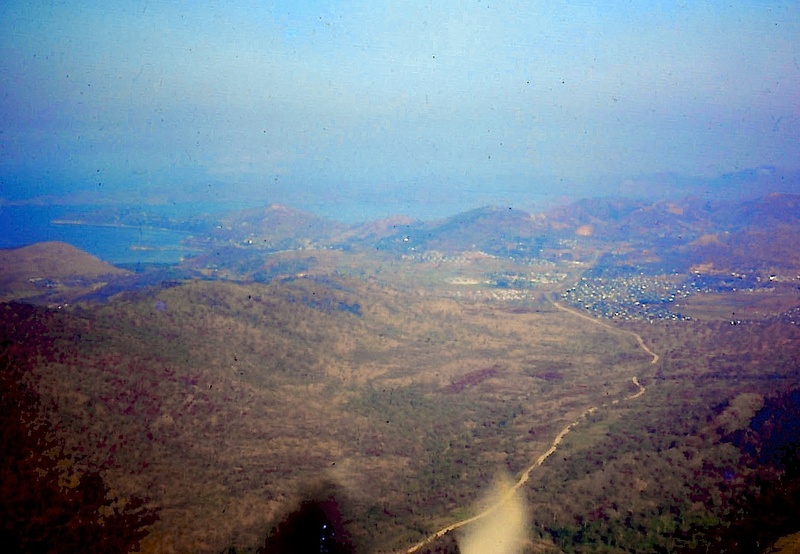 We flew over the huge mountain range which stretches from one end of the island to the other. 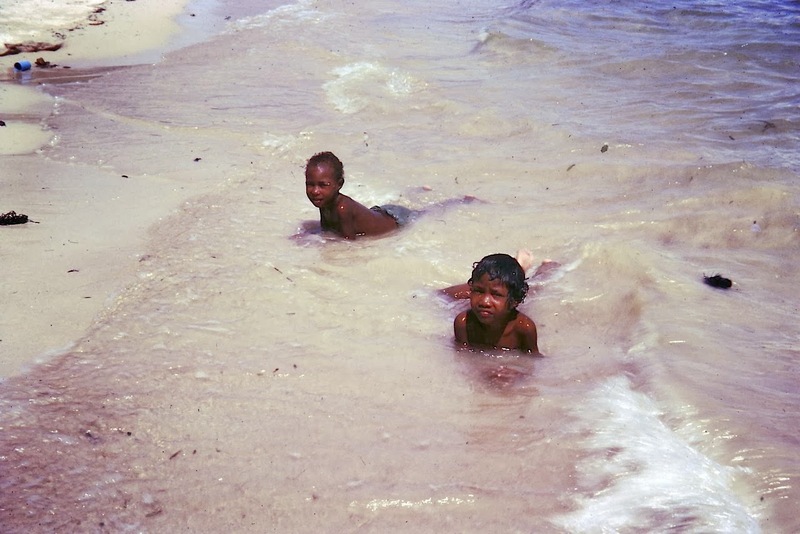 PNG is the second largest island in the world after Greenland. Peaks reach 4,900m/16,000ft . Pilots need to be very good to negotiate the treacherous conditions of rugged mountain peaks hiding in the clouds and to ride out fierce tropical thunder storms. 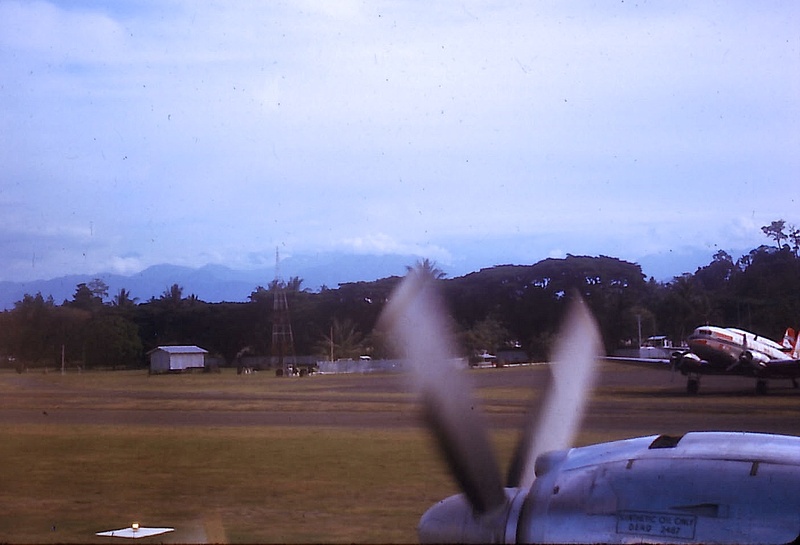 Finally the plane dropped over the mountains and landed at Lae on the northern coast of PNG. We were driven to our accommodation for the next week. It was the Hotel Cecil. 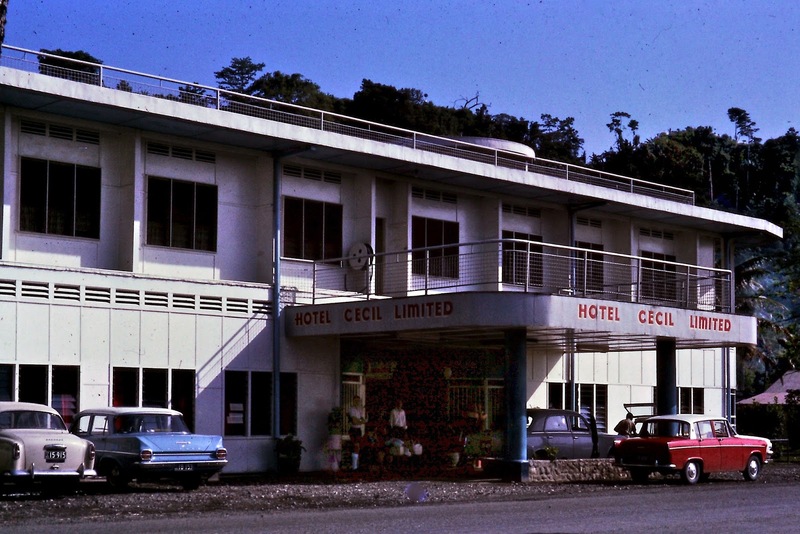 I think it was the only hotel in Lae then, We were allocated rooms and Val, my flat mate from Sydney, and I shared a room. The thing I remember most was the heat. The rooms were not air conditioned but there was a small table top fan. We put it on top of the cupboard and pointed it at our beds but it was still too hot to sleep. We explored the hotel which was old and decorated inside like an old colonial hotel. We found a swimming pool in the garden and soon jumped in to cool off......but what a disappointment the water was warm too. That night we were served dinner by native waiters in white lap laps,(a cloth wrapped around the waist and hangs to the knees). It started to feel like we were in the exotic tropics. That night we fell into bed exhausted but still found it hard to sleep while sweat was pouring off us and making us wet. The next morning was memorable. As we walked downstairs to go to breakfast one of our group said, "Did you hear the news? President Kennedy was shot." It was hard to believe. It took our minds off our first day of prac teaching in a native school. It was also the first time I had red pawpaw with lemon juice for breakfast. It was delicious and when I eat it now it always reminds me of that morning. 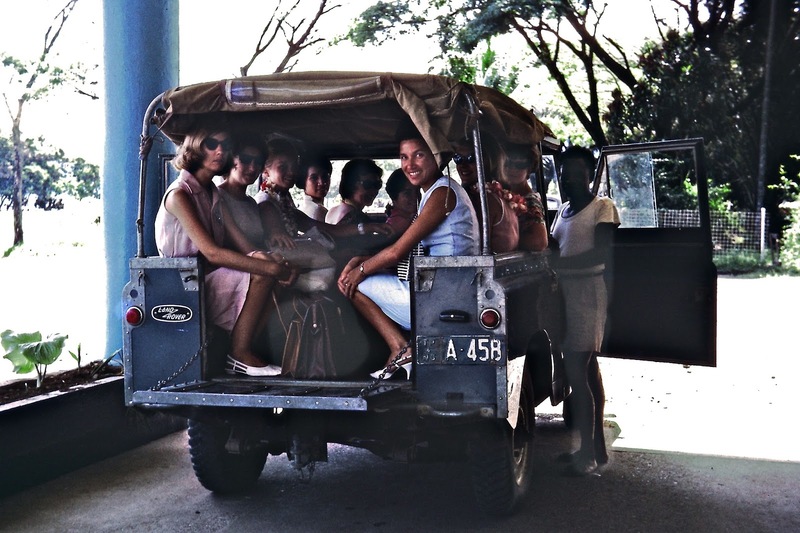 We were transported to our schools in the back of a Land Rover. This is certainly going to be a different life to the one we had left in Sydney. 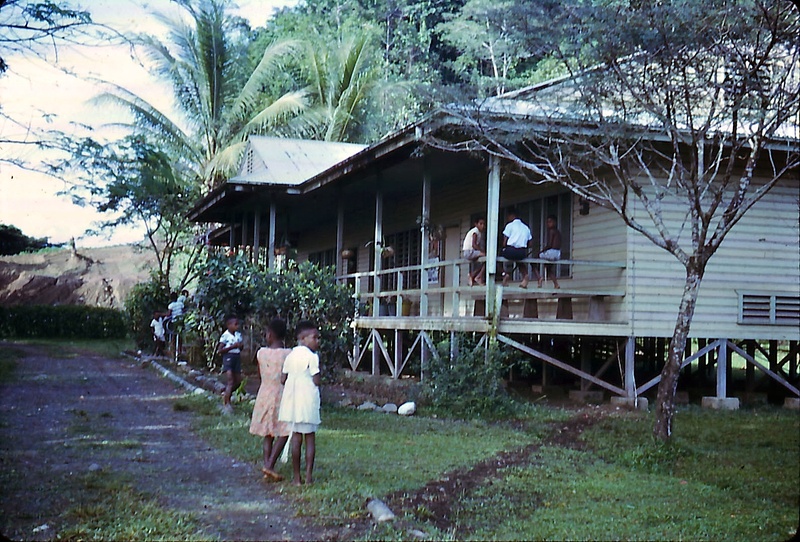 This was a fairly modern native school on the outskirts of Lae. 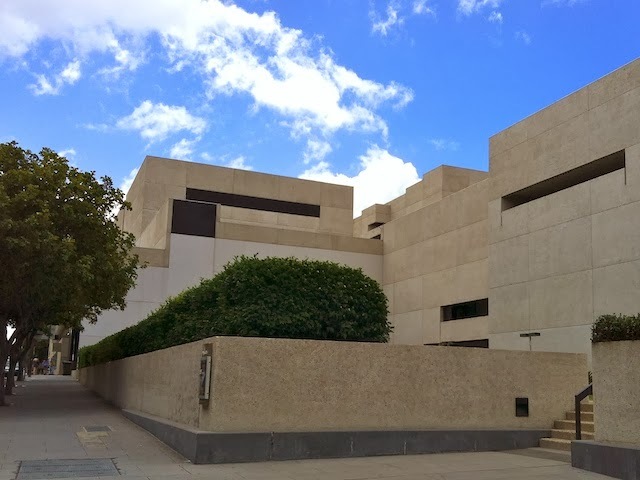 This was a good bush school with concrete floor and open walls instead of windows but it had lockable door and wire walls. 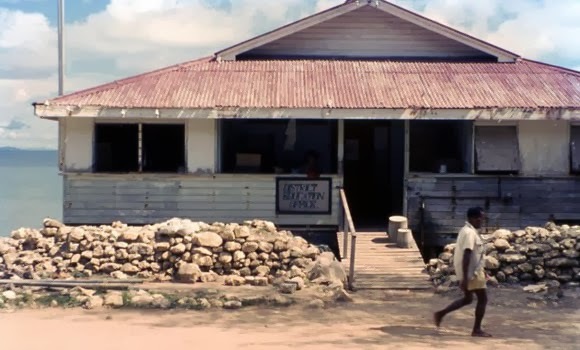 Real bush schools had a grass roof and either no walls or waist high walls and no wire. The parents often were seen leaning over the walls and listening to the lessons that they had never had the opportunity to have. The native children were cute and well behaved in class. It wasn't derogatory to call them natives in those days but today the people are now called "Nationals". There were over 700 hundred ethnic groups (tribes) and different languages in a population of about 2.5 million. Some tribes were still being discovered in the mountains as late as 1939. "WHO'S BEEN SITTING IN MY CHAIR?" Today we were very fortunate to be invited for a private tour of the new ABC (Australian Broadcasting Corporation) building. 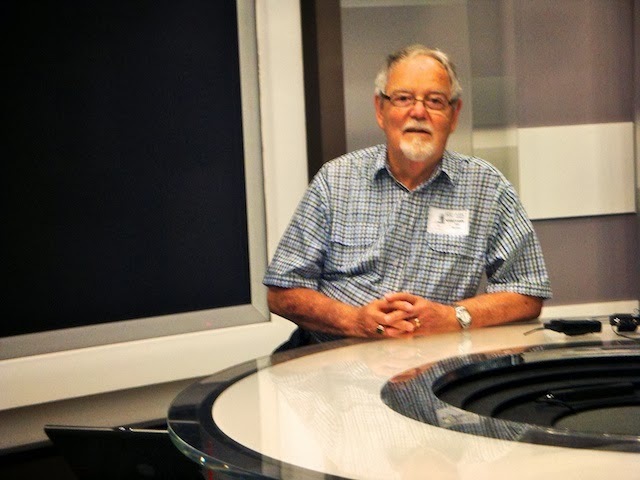 A friend that I used to teach with recently married the chief engineer of the ABC in Queensland and he kindly offered to show us around the new building. 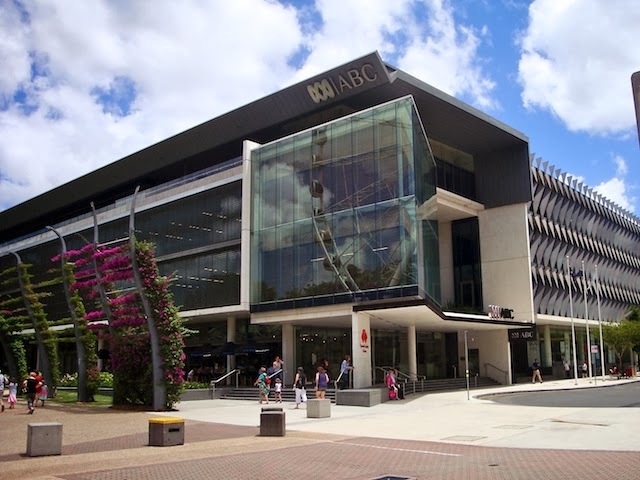 For many years the ABC in Qld was housed in a cramped old building in Toowong. Many announcers and workers contracted cancer while working there. A new building was needed. After much controversy between the political parties this beautiful building was built on a piece of prime real estate in the city. The architect company was Richard Kirk Architects. 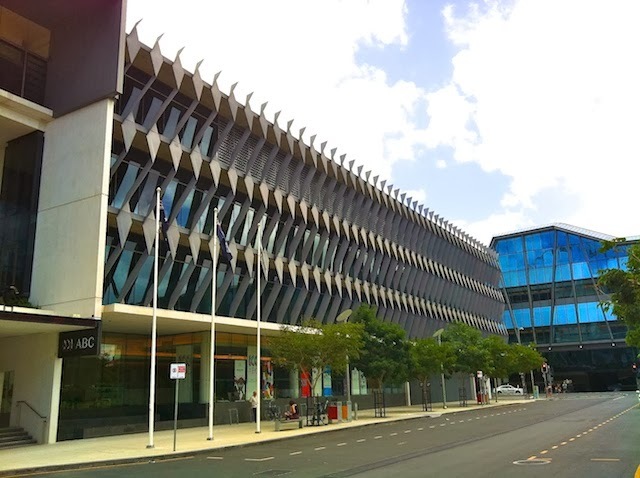 It is at South Bank between the Conservatory of Music and QPAC (Queensland Perfoming Arts Centre.) The blue building behind the ABC is the Convention Centre. The G-20 meeting will be held here in the Convention Centre in November. There is still building modification going on behind the white barricade. When I turn around looking from the front of the ABC The CBD is across the river. 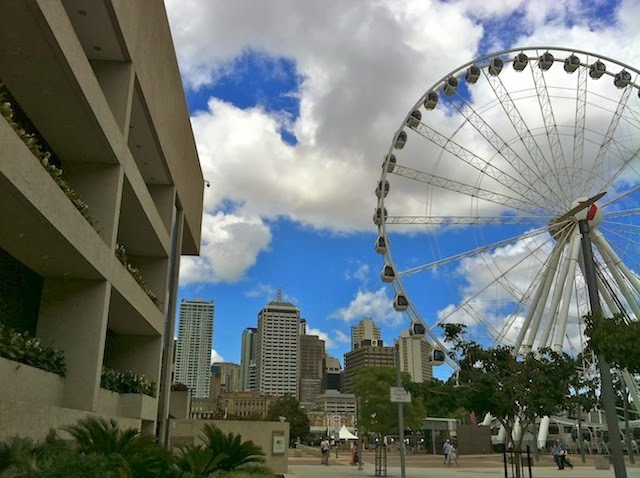 The Brisbane wheel on the right and QPAC on the left. 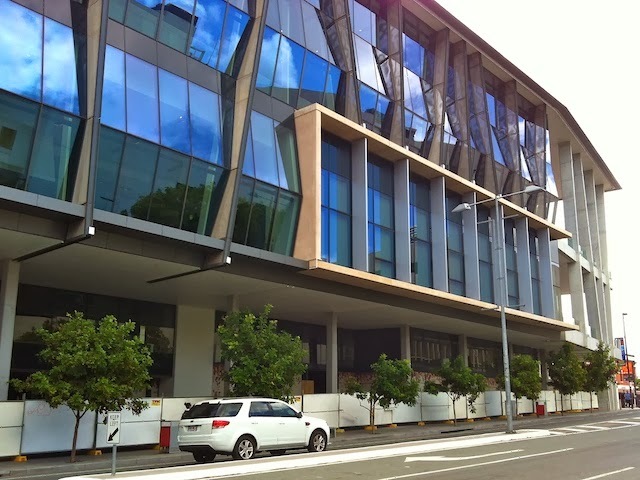 The back side of QPAC. I know it looks like a concrete bunker from this angle but it grows on you after a few years. 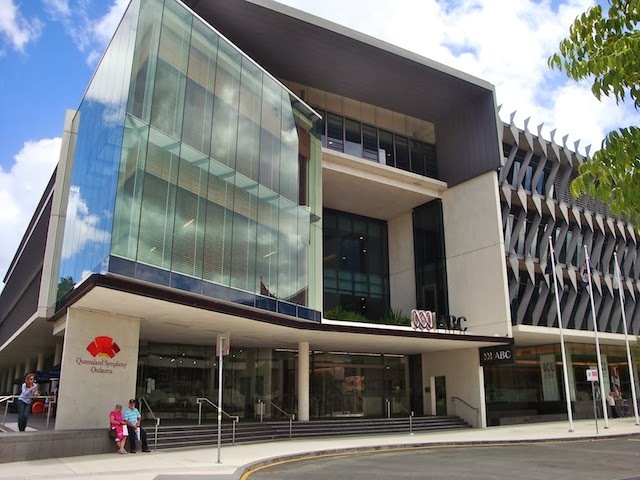 Now it was time to go inside the ABC building which also houses the Queensland Symphony Orchestra. The studio above is for the 612 ABC radio station. 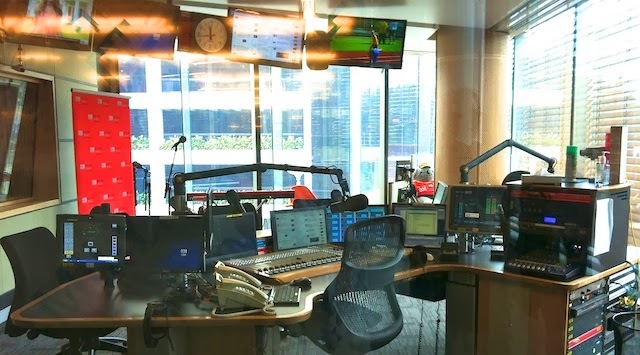 It is where my favourite radio announcer, Spencer Howsen sits. 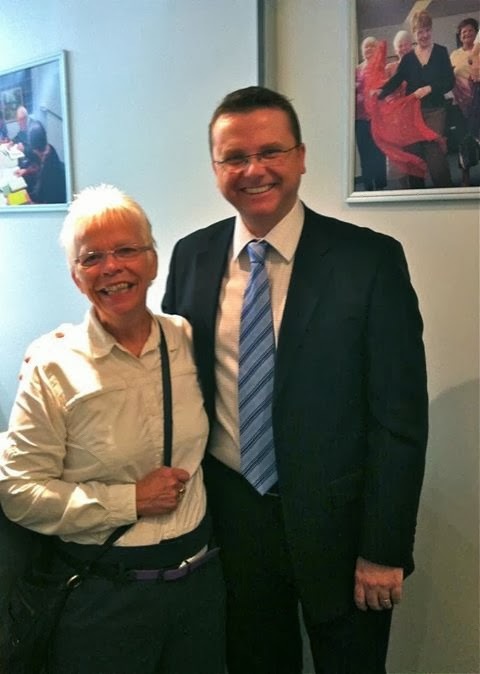 Last year I was lucky enough to meet Spencer at a U3A meeting where he was the guest speaker.